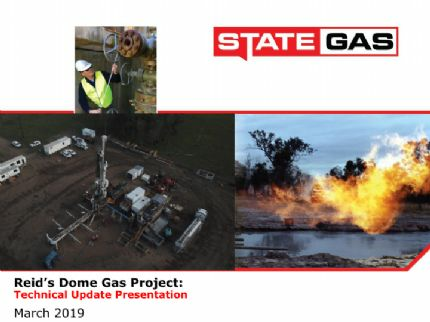 Brisbane, Jan 31, 2019 AEST (ABN Newswire) - Brisbane-based gas developer State Gas Limited ( ASX:GAS) is pleased to provide its Quarterly Activities Report for the December Quarter, 2018. - Successful drilling of Primero West-1 well and Nyanda-4 corehole. - Primero West-1 encountered a net gas-bearing zone of up to 12.5m. Gas was flowed at a rate of 0.436 mmscf/d through a 48/64" choke. - Nyanda-4 the first CSG well drilled in Reid's Dome / PL 231. 40.4m net coal and 25m carbonaceous shale confirmed, plus conventional / tight gas in sands and shales of Reid's Dome Beds. - Gas bubbling and hissing from both coals and sandstones in Nyanda-4 core, with numerous gas peaks in logs. - While gas desorption is continuing, average gas content recorded to date is 11.6m3/t in cored coal seams from Nyanda-4 commencing at 396m. 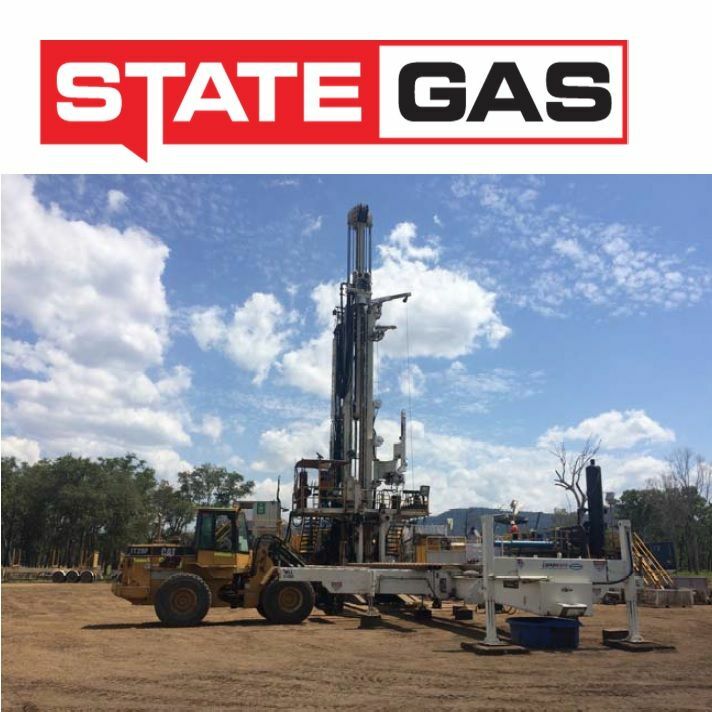 - State Gas increased its Participating Interest in PL 231 to 80% and is transitioning to 100%, with Offer/Acceptance Notices issued on 4 December under the Joint Operating Agreement.